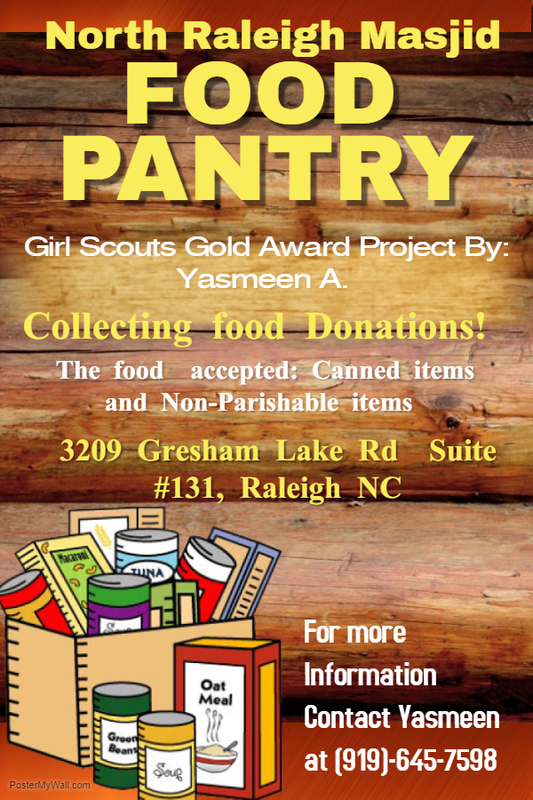 Yasmeen Ayesh is leading a food pantry project at North Raleigh Masjid for her Girl Scout Gold Award and is collecting donations for refugees and the needy. The food will be distributed to needy Muslims and non-Muslims. Donation box will be at the Masjid. For more details, see the contact above.